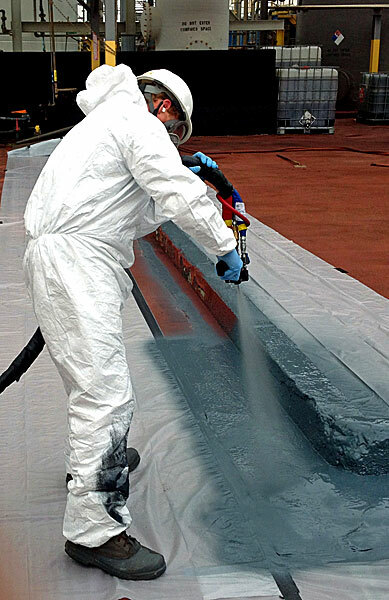 ULC provides Polyurea installation services for primary containment, secondary containment and corrosion control. With a broad range of Polyurea and Polyurea hybrids, ULC can provide the optimal product for your specific application. With an experienced team with over 40 years of experience, ULC has the expertise to solve your containment, corrosion and rusting problems. Simply contact us and we'll go to work to provide the best and most cost-effective solution to your problem. Expertise to choose the best Polyurea product for your specific project. Commitment complete work on time around your production schedule. Quality products and installation to ensure long-term performance. With locations in Odessa, TX and headquarters in Shawnee, OK, in a larger more centralized facilty to better serve our customers. ULC serves the entire United States with a wide variety of installation and pre-sprayed applications. Safety at ULC is much more than written policies and catchy slogans- it is a part of our corporate culture. Active participation from every employee makes our safety program one of the most successful in the industry. Our goal is simple: prevent all accidents, injuries and occupational illnesses by identifying, eliminating or managing safety risks whether our employees are on or off the job. 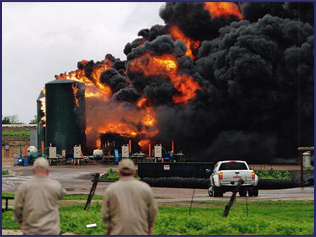 ULC Safety Program meets or exceeds safety requirements from all major energy and industrial corporations that we serve. To inquire about our safety program or to get information not published on this website, please contact us at (832) 742-9182.